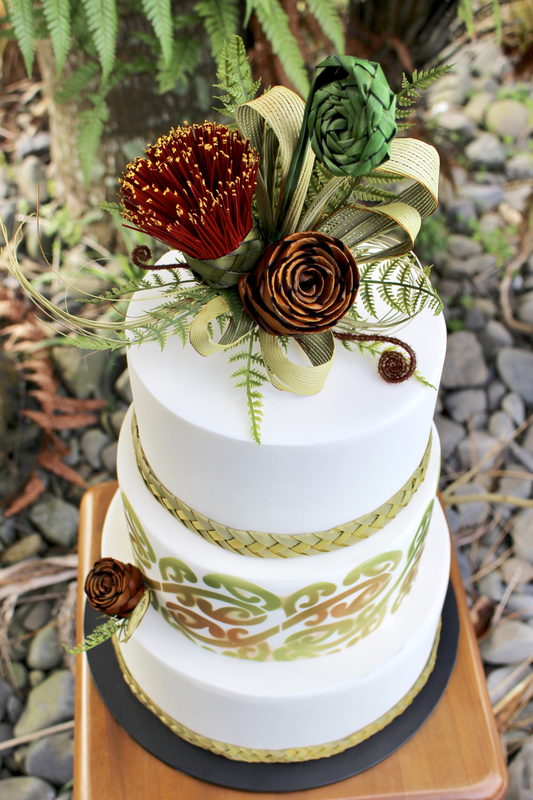 Our “Native NZ” cake topper includes a Pohutukawa, Koru & flax bud with ferns $55 NZD. 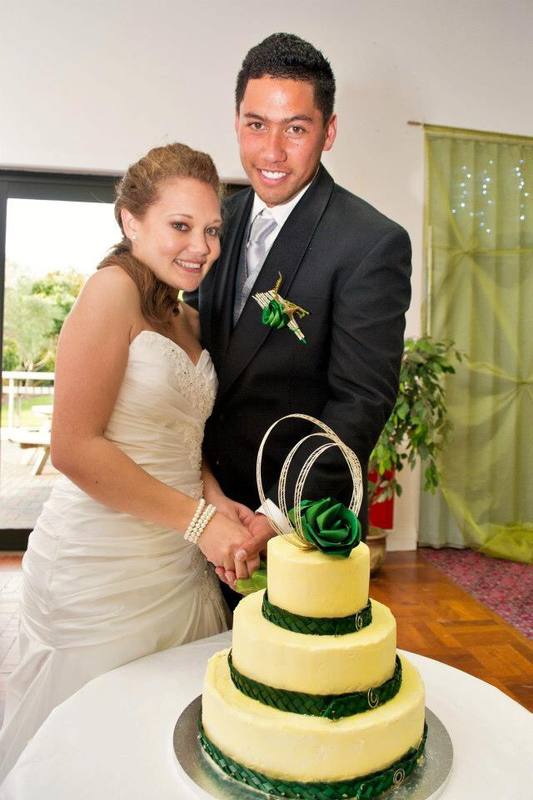 Cake with Maori Design created by Jodie of Rockn Bake Cakes of Hamilton. 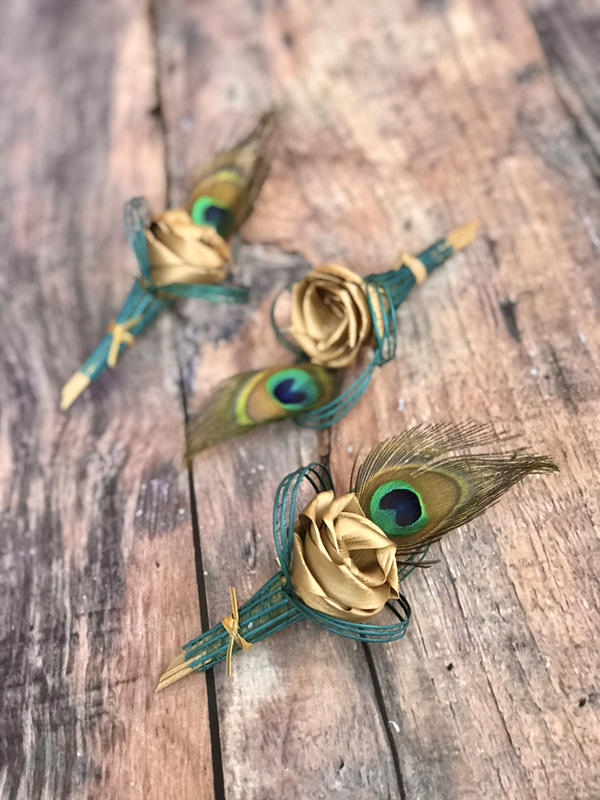 Three flower cake topper with low loops $45 NZD. 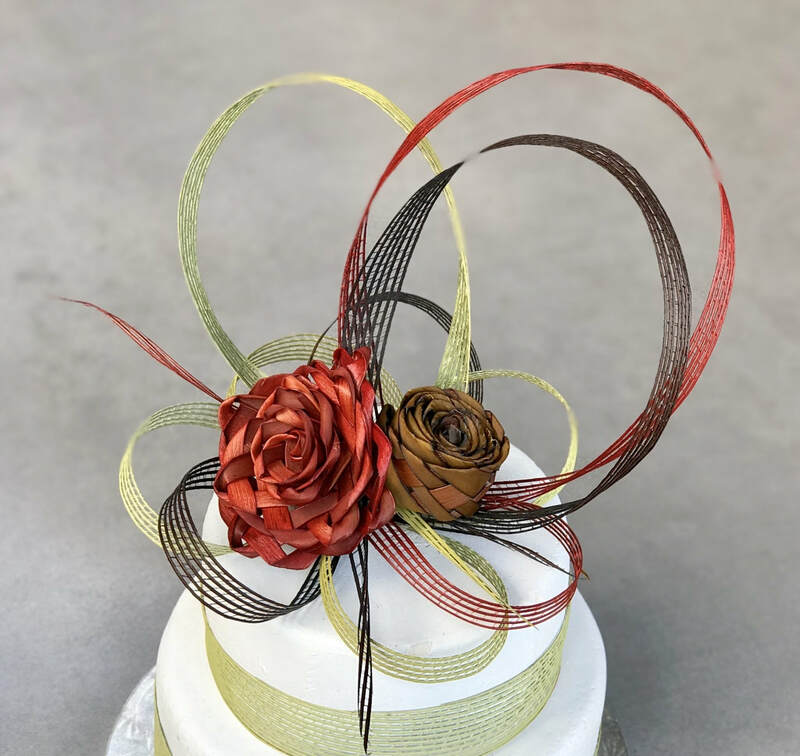 Two flower cake topper with high loops and woven flax cake bands to match. 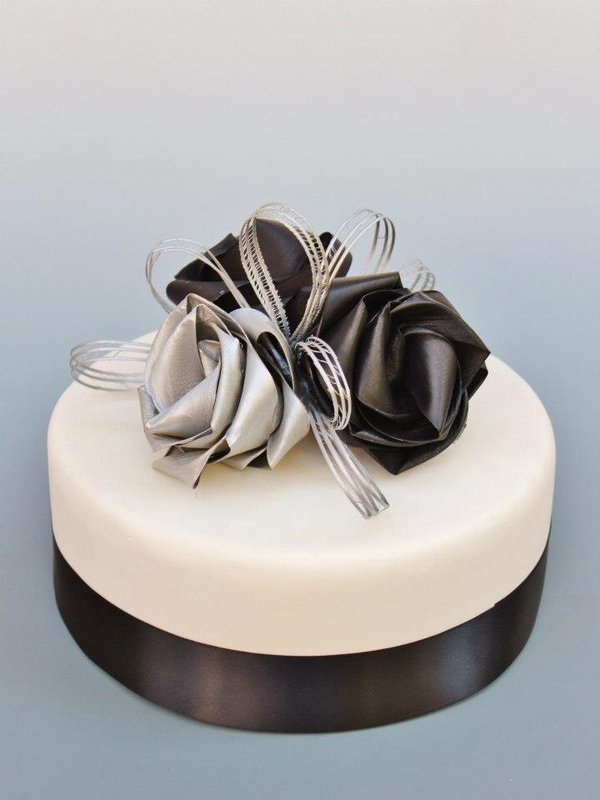 Cascading cake topper with low loops, fern & trailing loops $55 NZD. 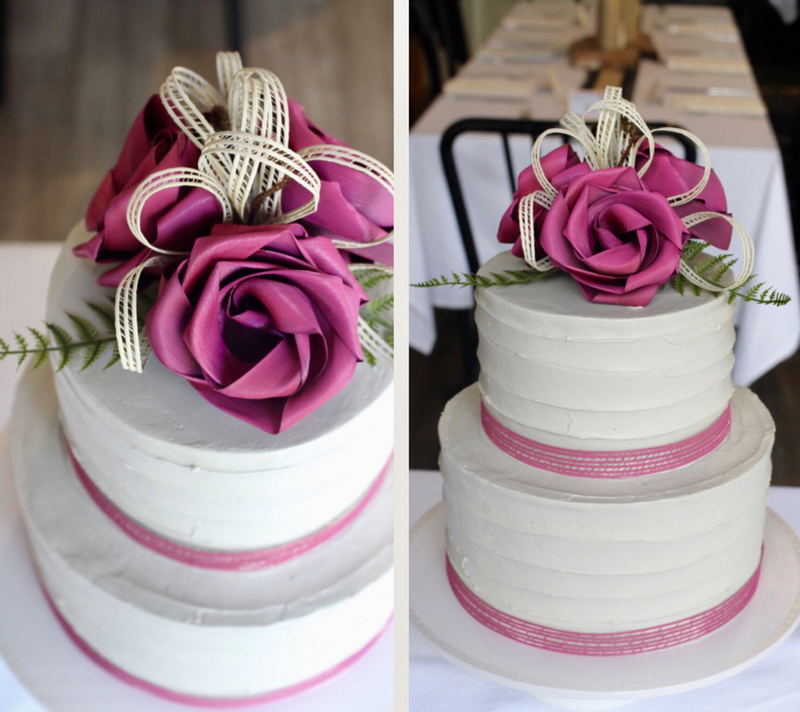 Two flower cake topper with high loops $40 NZD. 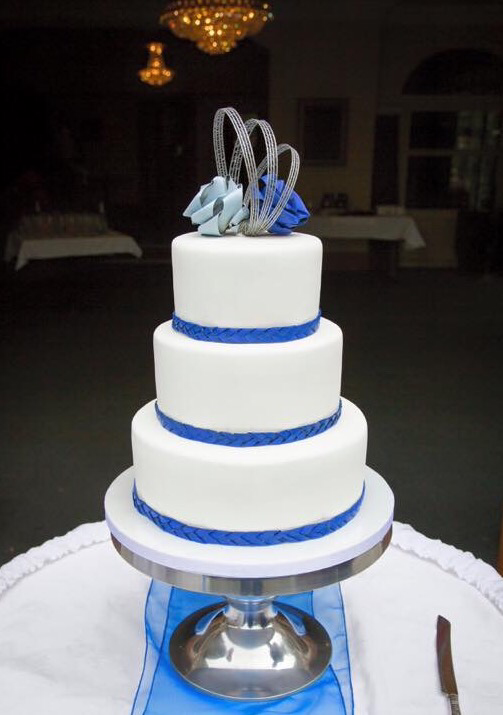 Woven vibrant blue cake bands to match extra cost depending on the tier size. 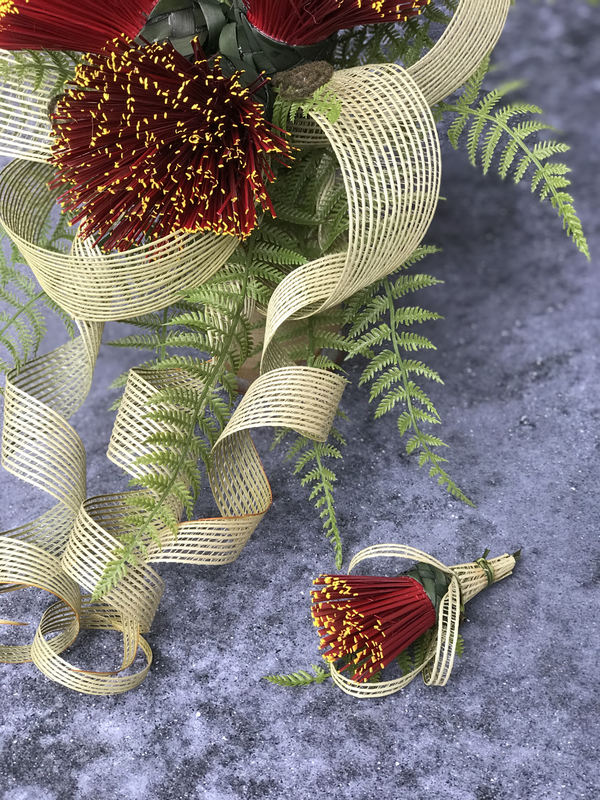 Two flower cake topper with high loops, ferns and koru $45 NZD. 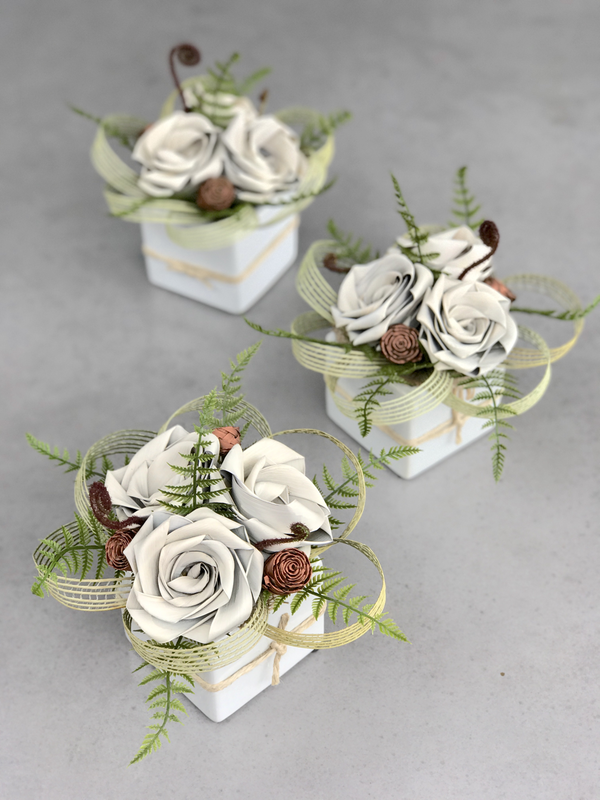 Three flower cake topper with low loops and fern $45 NZD. 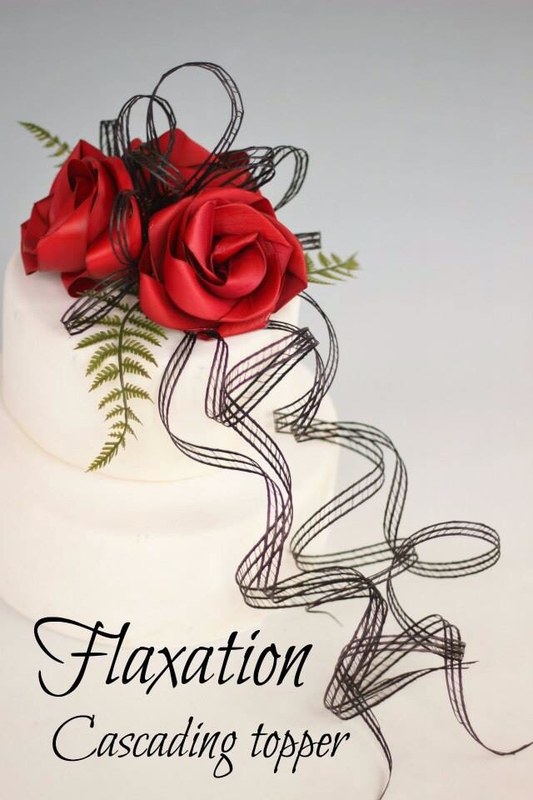 Flaxation three flower cake topper $45 NZD and netted cake bands on a grey iced cake created by Sweet Avenue Cakes. Cake Bands are an extra cost. Lily & bud topper with loops $50 NZD. 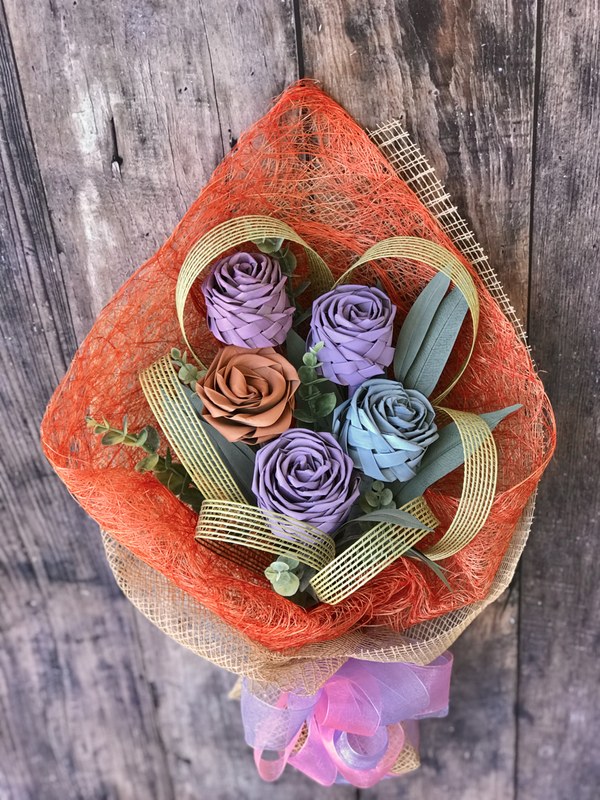 Shown here in tangerine, brown & natural. 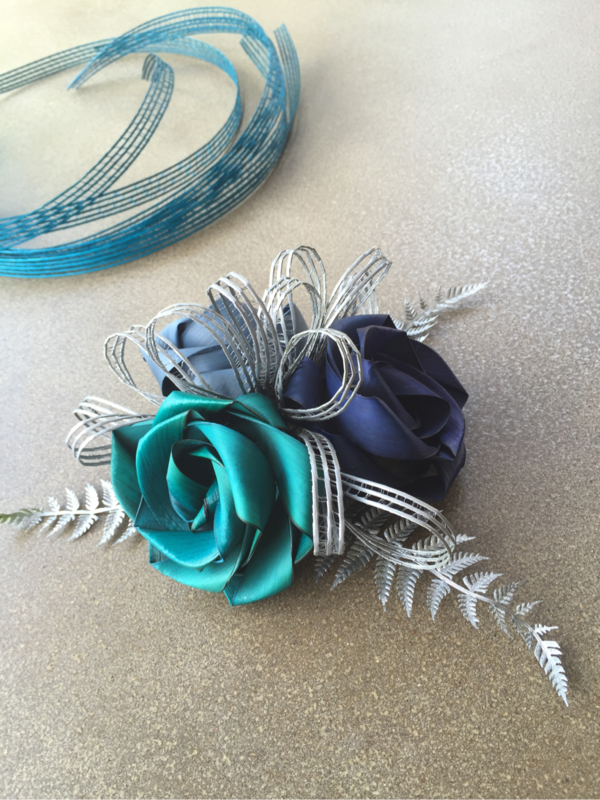 Two flower cake topper with high loops & Paua pieces $45 NZD. Extra little cake flowers are $5 each. 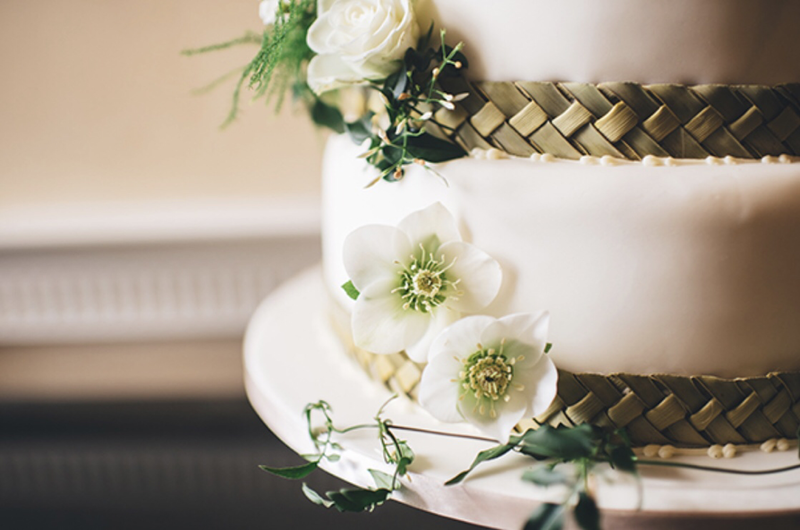 Rustic three flower cake topper with tiny buds, fern and high grass loops $45 NZD. 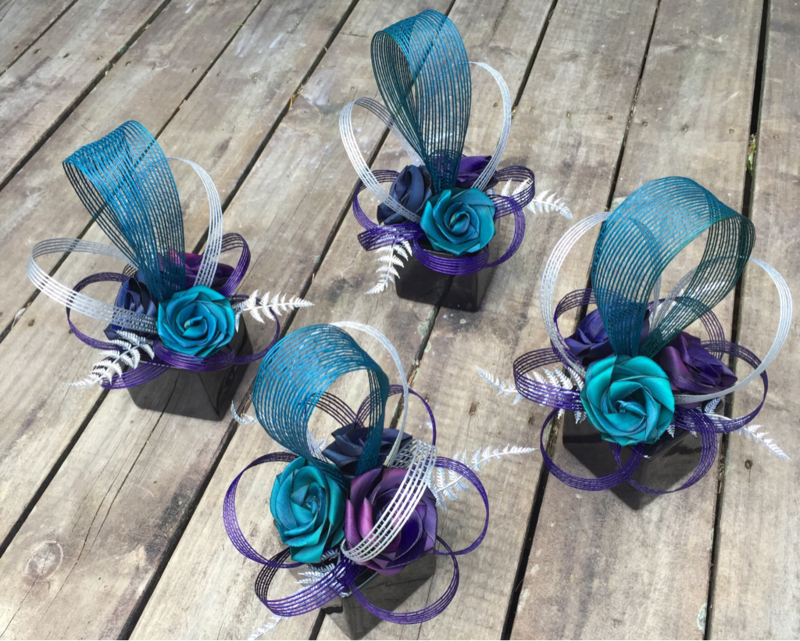 Three flower cake topper with low loops & silver fern $45 NZD. 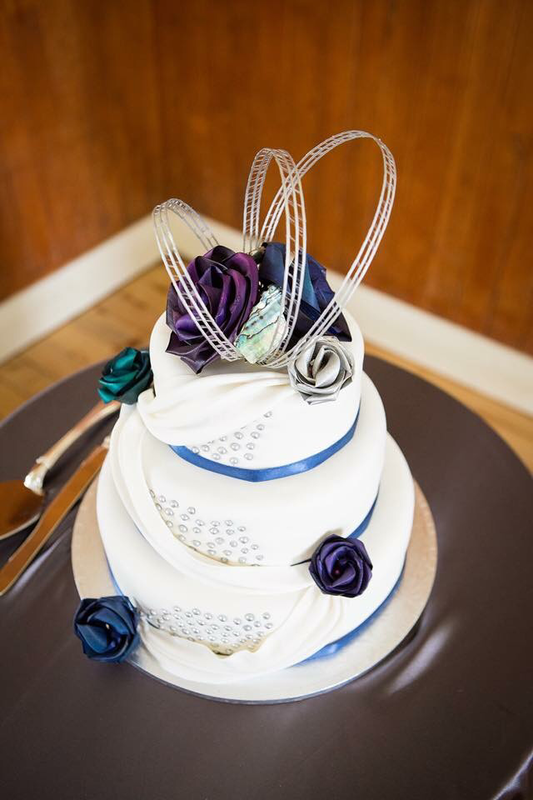 Fine netted cake bands to match. Price depending on cake tier sizes. 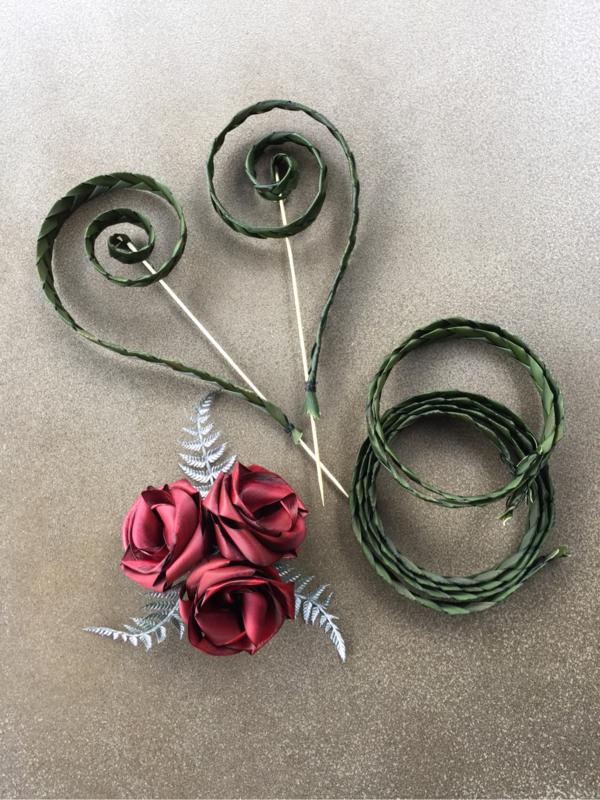 Large Koru heart cake topper with three flower and fern base design $75 NZD. Woven cake bands to match. 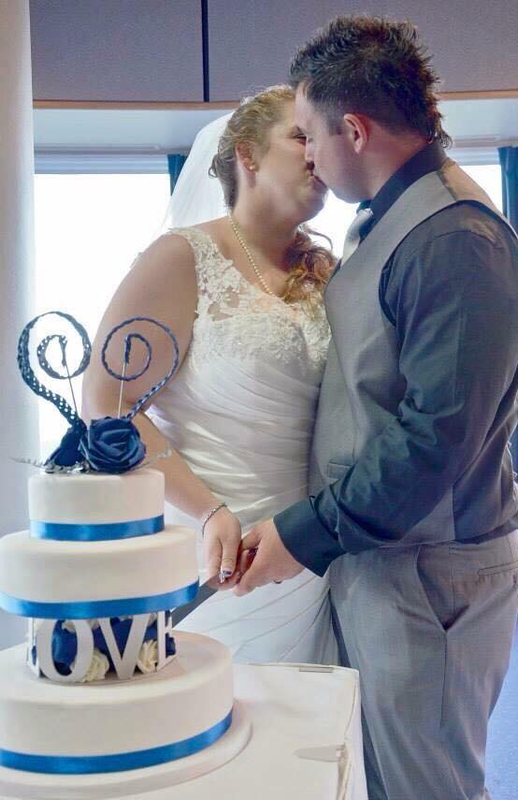 Price depends on the cake tier size. 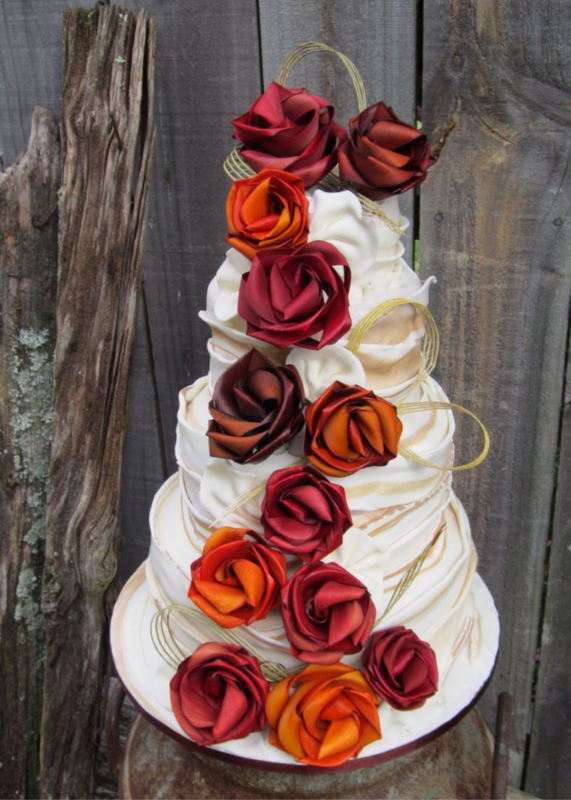 Large Koru Heart cake topper with three flower base design. 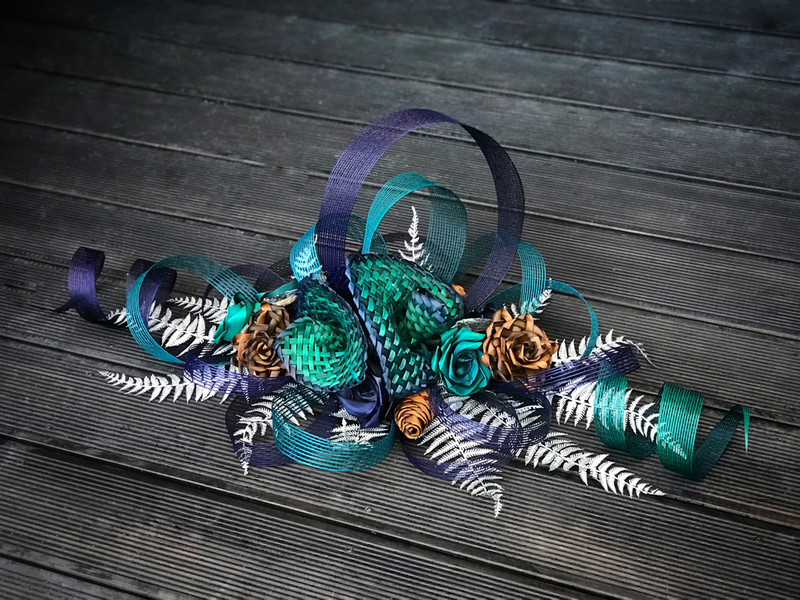 Pohutukawa trio cake topper with green ferns $65 NZD. Matching woven cake bands at an extra cost depending on the tier size required. 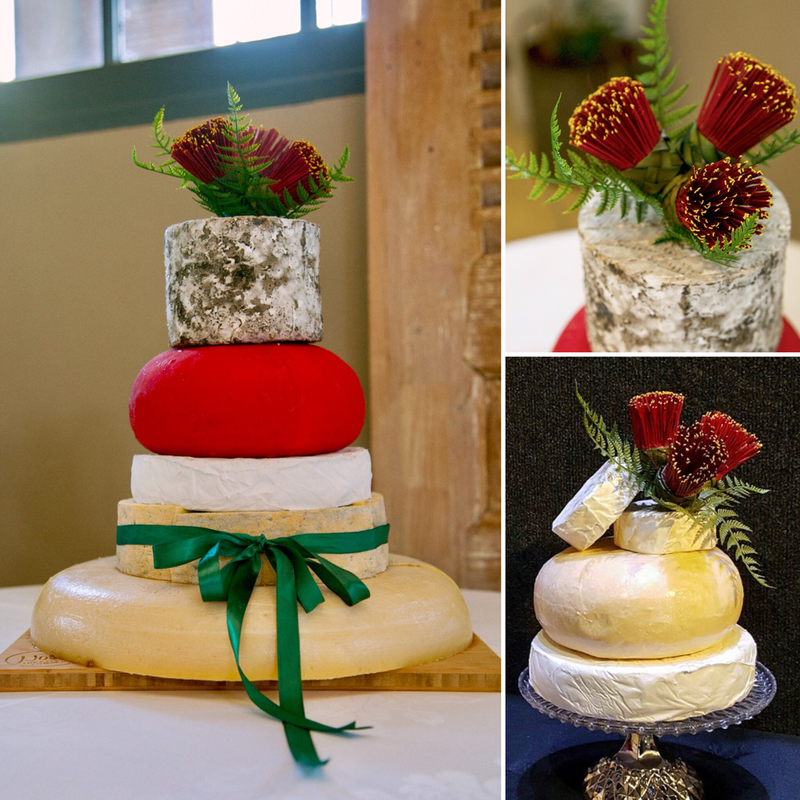 Our Pohutukawa & fern cake toppers are popular on cheese-cakes. They have a wooden skewer attached for easy application to the top tier of cheese. 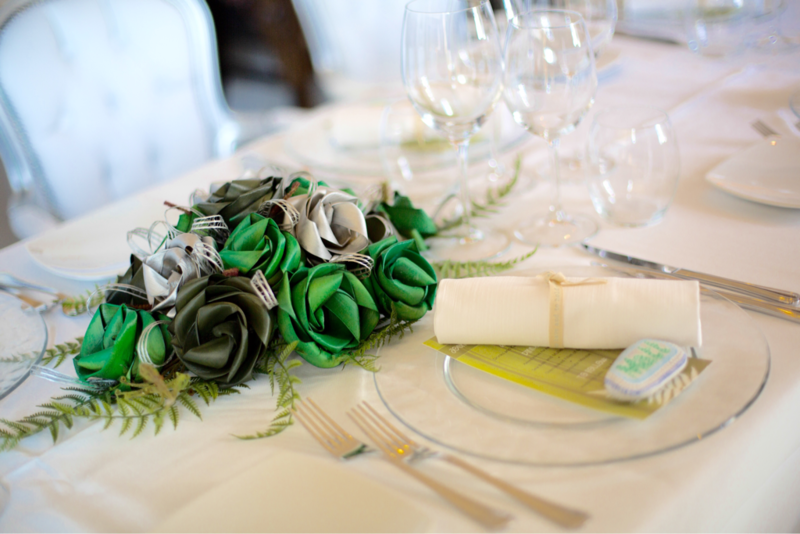 Three flower cake topper in emerald with low loops & green fern $45 NZD. 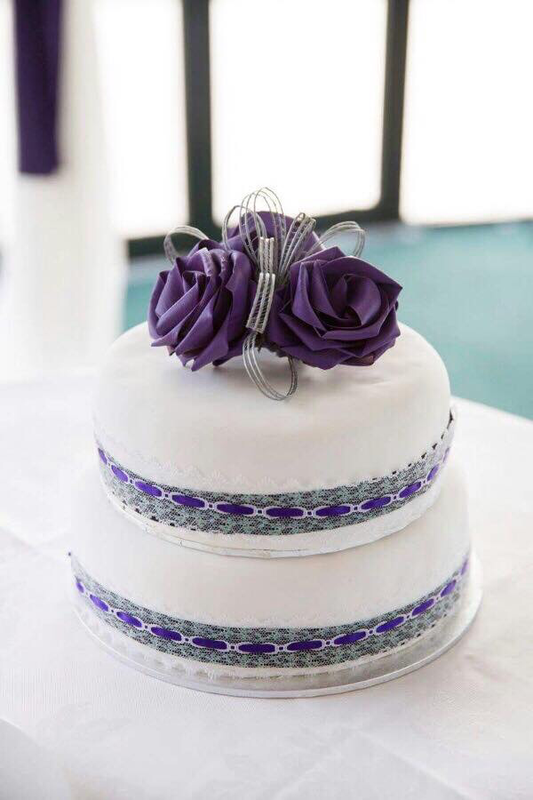 Three flower cake topper in purple with low silver loops $45 NZD. 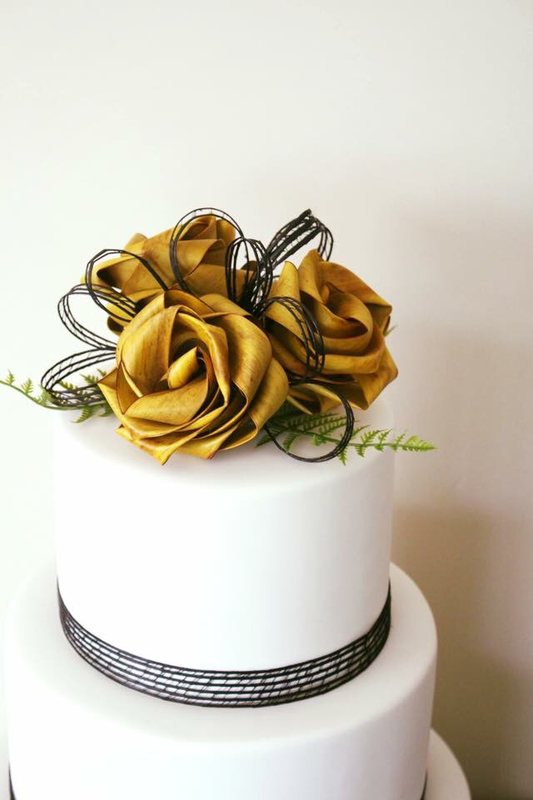 Natural flax hand woven cake bands are made to order to the size of each cake tier. Large 7 flower cake topper to suit an 8” diameter cake. 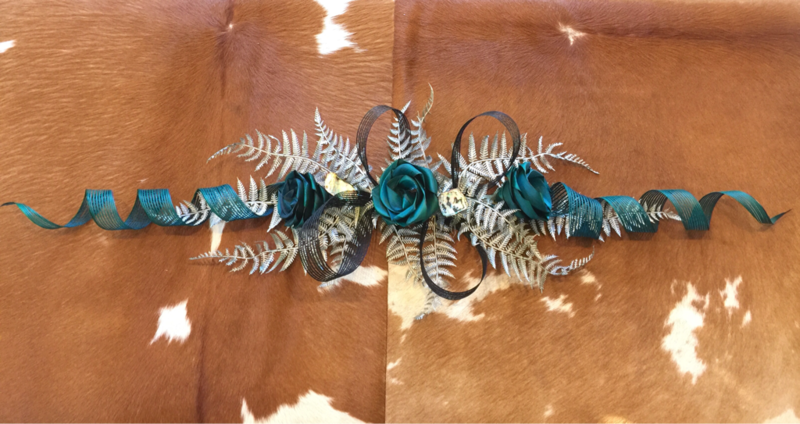 Pictured here in rainbow coloured flowers with high loops & green fern $80 NZD. We supply flax flowers to cake decorators. This amazing cake was designed by Flour Cake Studio. 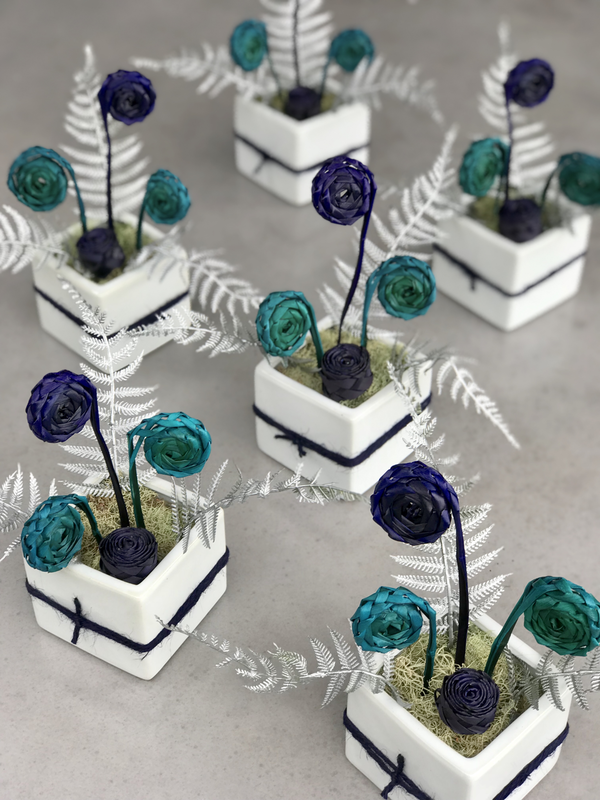 Table three flower loop design in Paua colours with a ceramic cube in either black or white. $50 NZD. 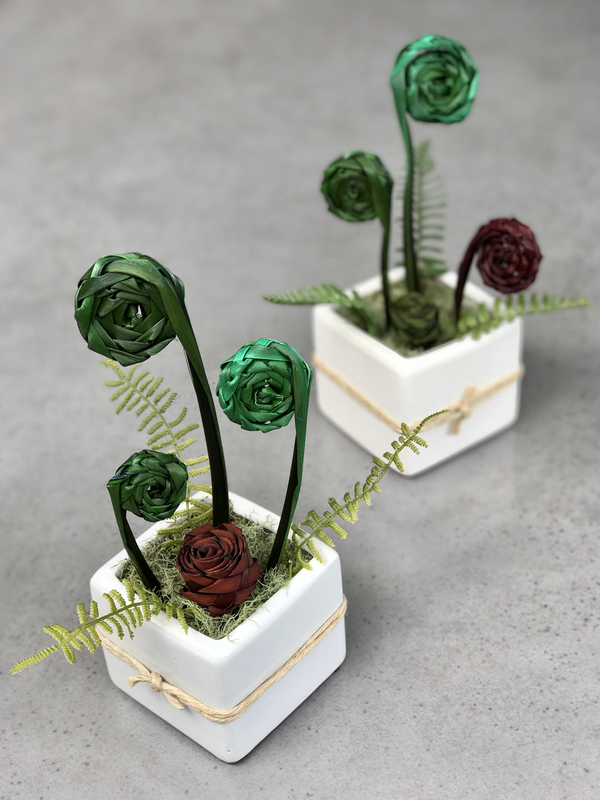 Rose & bud centrepieces with green ferns, koru and natural loops. 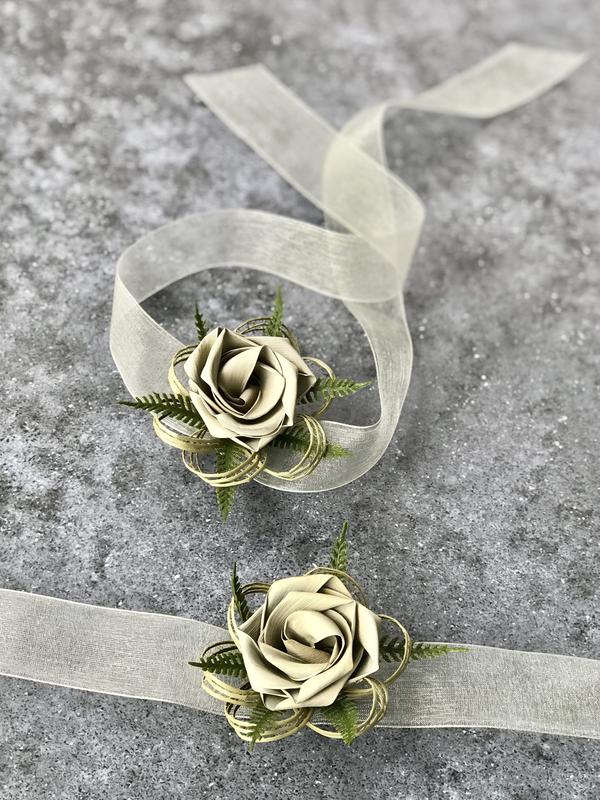 Shown here in ivory roses & rose gold buds. $55 NZD each. These arrangements are suited to long tables where height is not required. Image below shows this style in red & white with a black cube. 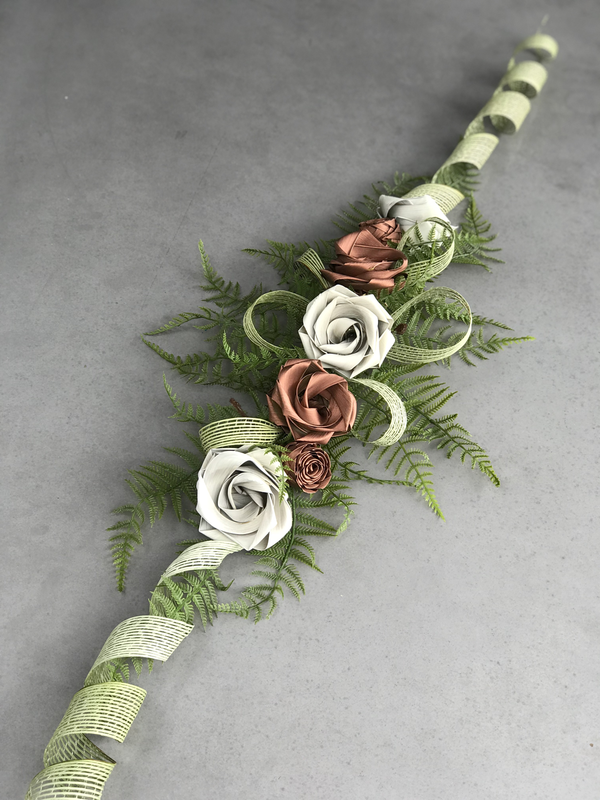 Tall three flower centrepiece in ivory with blush buds, green fern, koru & loops $60 NZD each. ​Cube version $55 NZD each. Table three flower loop design in a tall ceramic vase $60 NZD. These arrangements are suited to a larger table seating 10-12 people. They give height to the centre of the table without restricting the view. 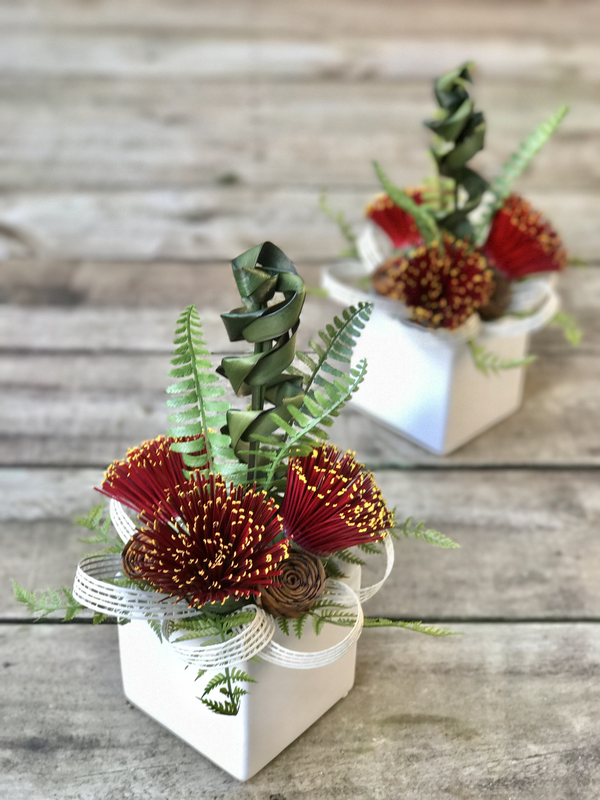 Pacific style centrepieces in a small ceramic cube $55 NZD each. 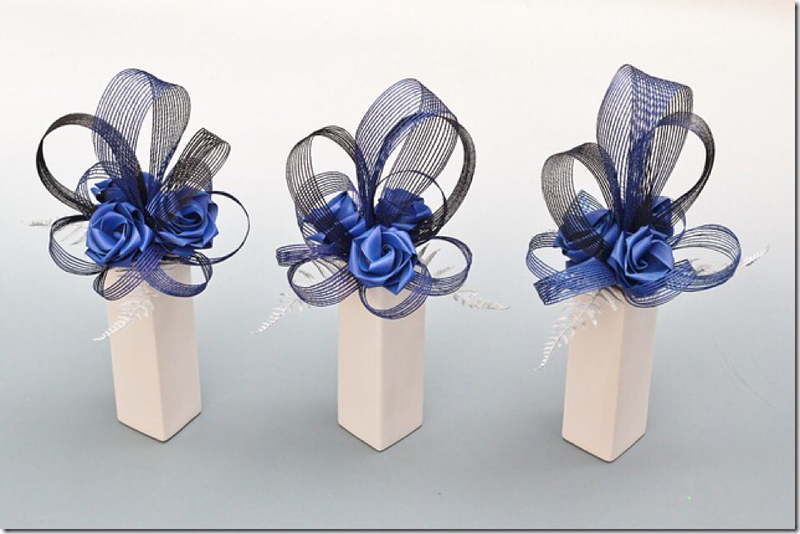 Tall five flower centrepiece $65 NZD each. Large floral head table centrepiece $180 NZD. 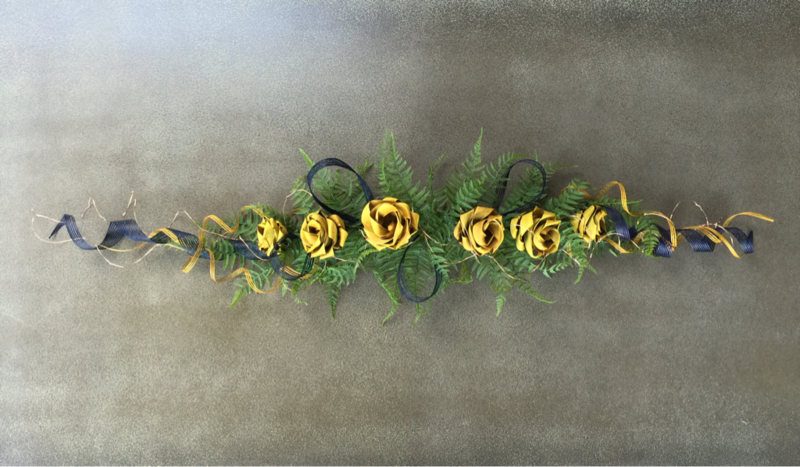 Long three flower table centrepiece $65 NZD. Large ‘Salt of the earth’ centrepiece $320 NZD. Head table large/long high looped centrepiece shown here in the peacock style $160 NZD. 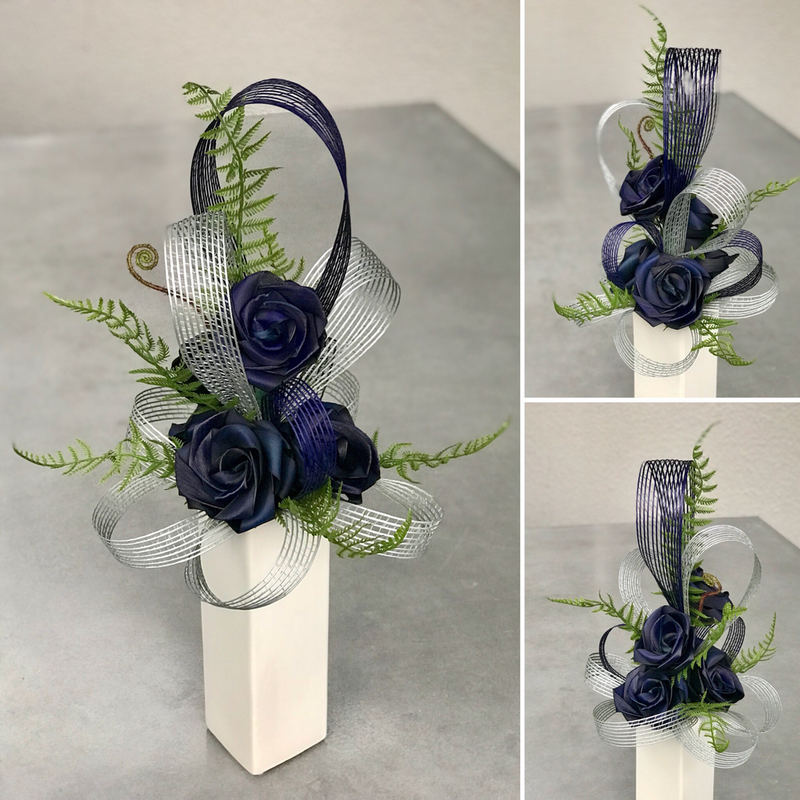 Three flower & fern centrepiece $35 NZD. 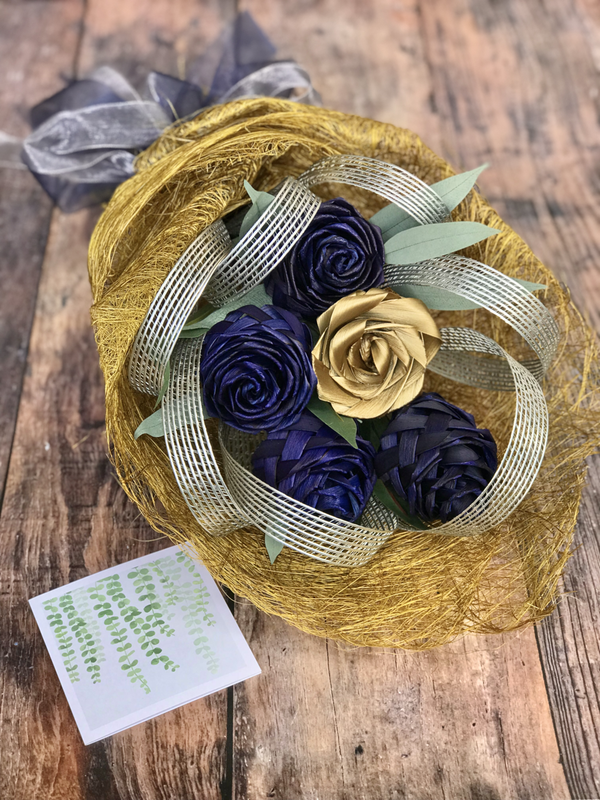 Rustic small cube centrepiece with nine roses $55 NZD. 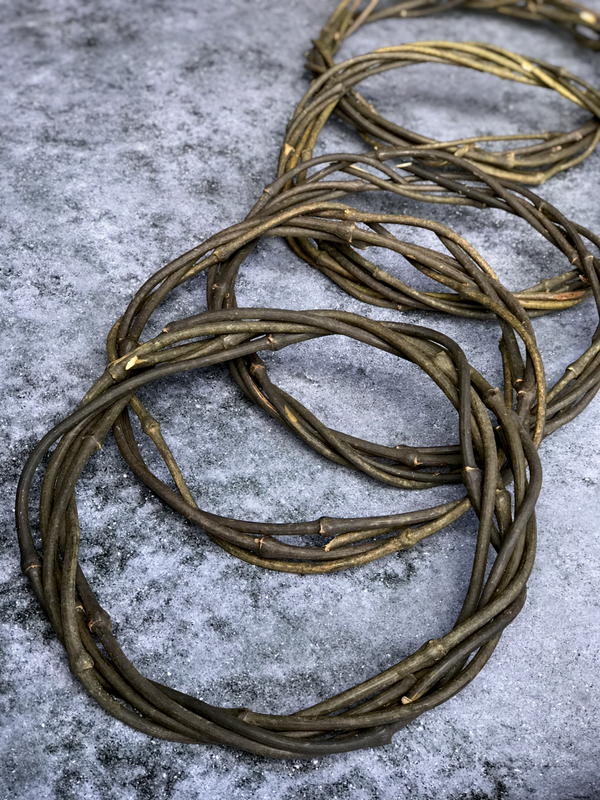 Coloured flax grasses an be dyed to match your theme. 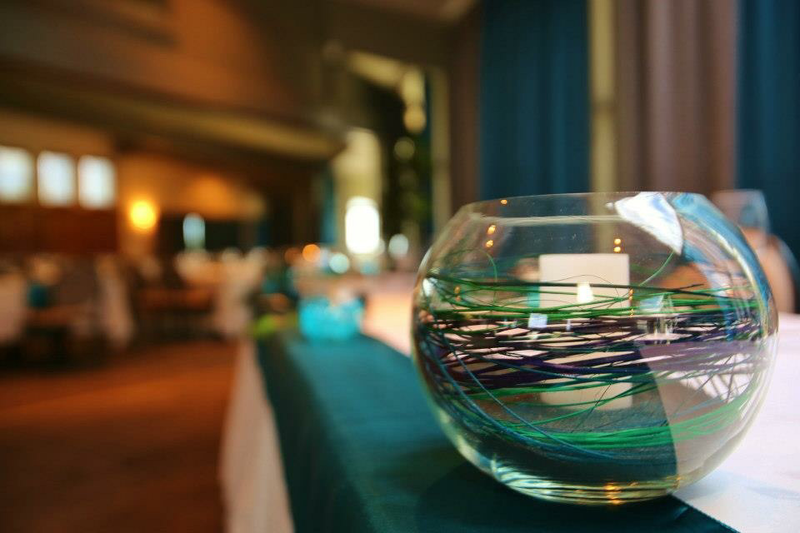 Displayed here in fish bowls with LED candle & coloured sand in the base. Grasses only $20 NZD. 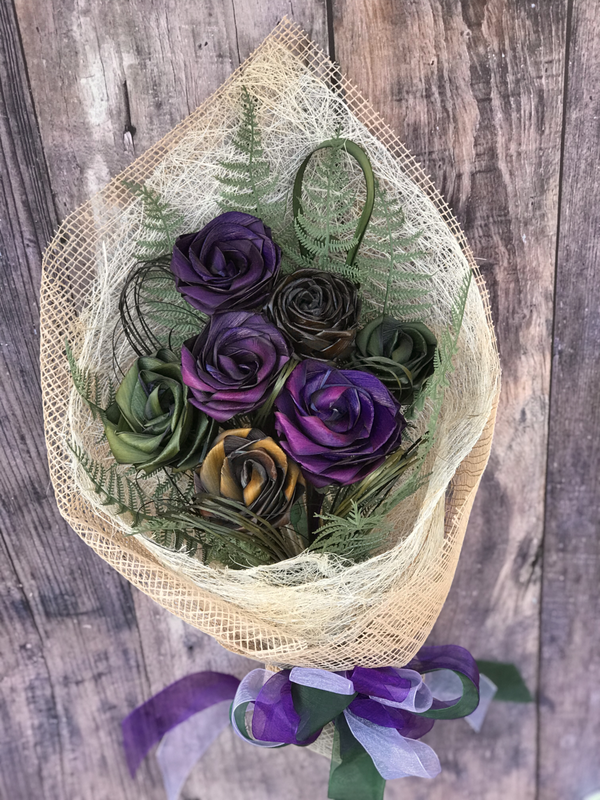 Single table flower or gift arrangement with spear & large loops $35 NZD. 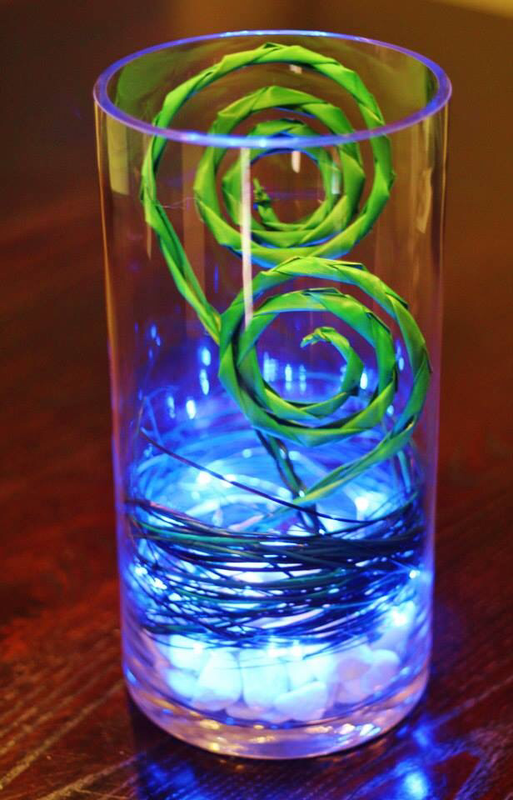 Large woven koru with grasses shown here with seed lights in a glass cylinder vase. Pohutukawa native cube centrepiece $70 NZD. 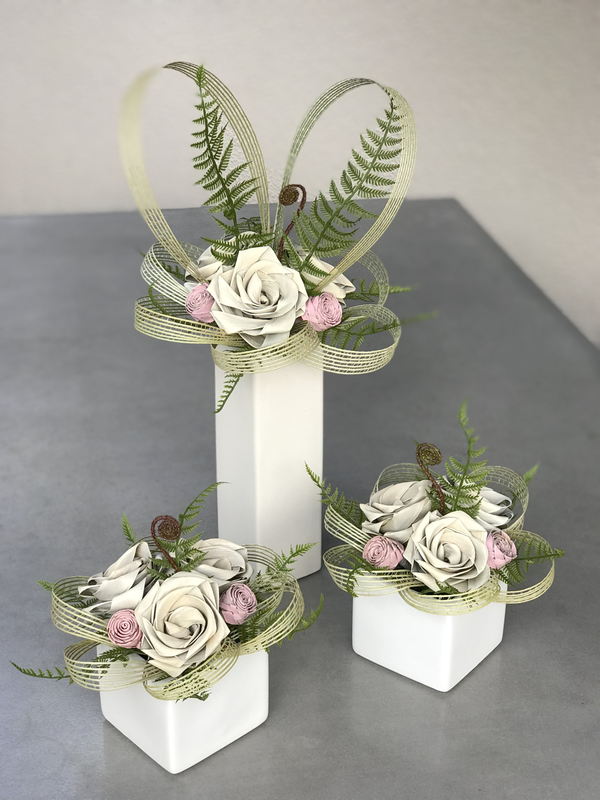 Koru & fern cube arrangements $55 NZD each. Commission order where our client supplied us with their vase sizes & colours to create these three display arrangements in copper, deep brown & champagne. 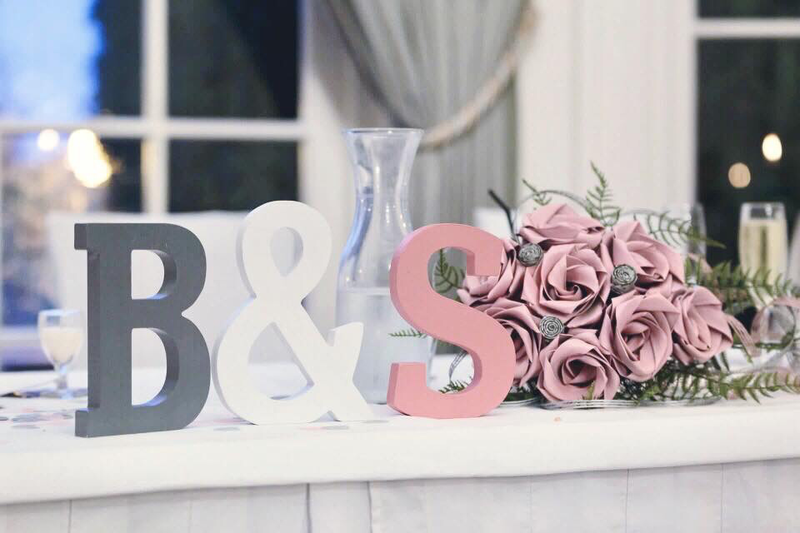 This image shows how the waterfall bridal bouquet looks lying on the bridal head table along with a personalised sign. Beautiful.